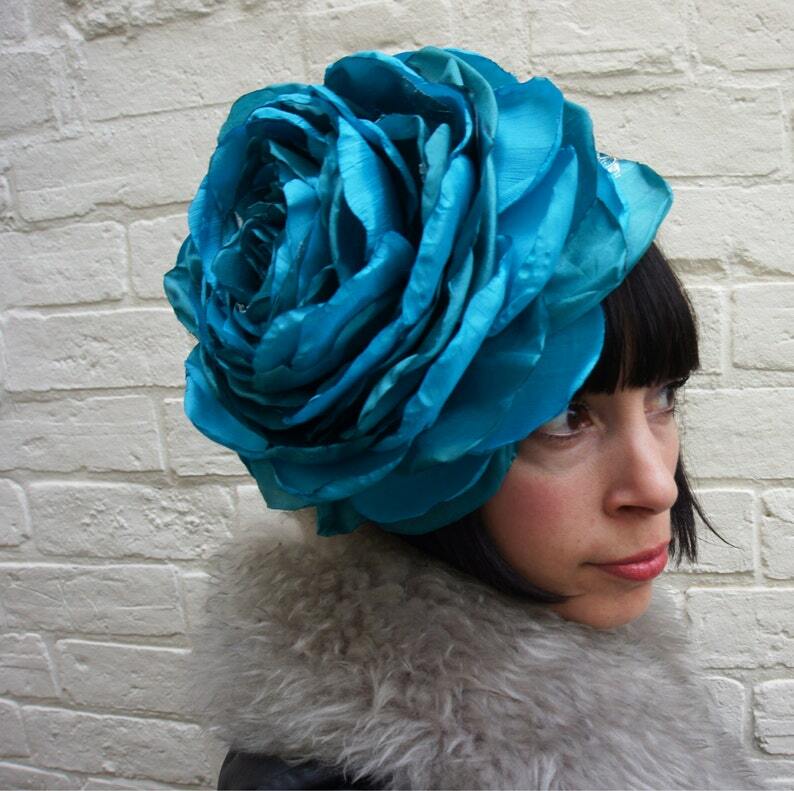 This giant turquoise flower headpiece has been handmade out of recycled vintage fabrics in slightly different shades of turquoise. It is held in place with a satin covered alice band and backed with recycled hessian. I have hand cut and shaped the petals using cleaver stitches to create a realistic looking rose. And it has been aged and distressed to give it a vintage antique look. This flower for be great as part of an elaborate festival costume, perfect for the races, or a wedding or summer party.